A vet has advised us to give our dog only dry food due to her bad teeth, as opposed to the boiled chicken and rice we used to feed her. We have since tried to get our dog to eat dog biscuits, but she seems to hate them. We are worried she’s going hungry. Can we go back to giving her chicken and rice? There are many causes of dental problems for dogs, and an estimated 80 per cent of dogs will have some form of periodontal, or tooth and gum, disease by the age of two. Signs that your dog may be experiencing dental problems include inflammation of the gums, loose teeth, build up of plaque and pain when eating. The main cause of periodontal disease is bacteria, which enters the mouth every time your dog eats. 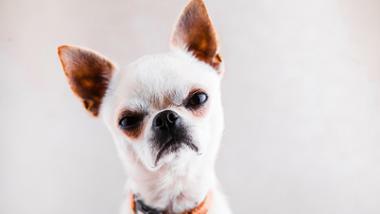 One of the main problems with feeding your dog ‘human food’, such as chicken and rice, is that you may not be providing your pet with the nutrients it needs to stay healthy. High-quality dry foods, such as the brands you can purchase at a veterinary clinic, have been carefully formulated to ensure they provide the exact quantities of everything your dog needs to stay in great condition, including your dog’s teeth. Without examining your dog, it is difficult to know what is causing the dental problems. However, when diagnosing dental problems, it is usual for vets to take X-rays and examine your dog’s mouth. If infection is found, a vet may prescribe antibiotics and brush your dog’s teeth. It is likely that your vet has asked you to switch your dog’s diet to a specialised dry food diet to reduce plaque and prevent additional tartar buildup. This food will likely have no added sugar in addition to being designed to help remove tartar and reduce gum and tooth disease. Your dog is used to eating chicken and rice and may not be happy about having to eat something new. To make it more palatable, you could try introducing the food slowly by adding a little of it to your dog’s usual diet of chicken and rice. I would recommend giving your dog less rice, as it is high in carbohydrates, which can cause an increase in plaque and tartar. Add a little more dry food each day, while reducing the amount of chicken and rice. Within a week, you should be feeding only the dry food. It is important to move your dog onto a high-quality diet suitable for animals as soon as possible to ensure it is getting all of the right nutrients in every meal. If your dog is still not enjoying the dry food you are providing at meal times after a week, speak to your vet about a suitable soft food alternative. In addition to soft food, you may also give your dog vet-approved bones or dental chews. The mildly abrasive texture and their ability to flex around the teeth make these chews useful in removing dental plaque. If you do opt for bones, please make sure you purchase them from a vet, as bones you get from a butcher or meat counter may splinter and cause more harm than good. 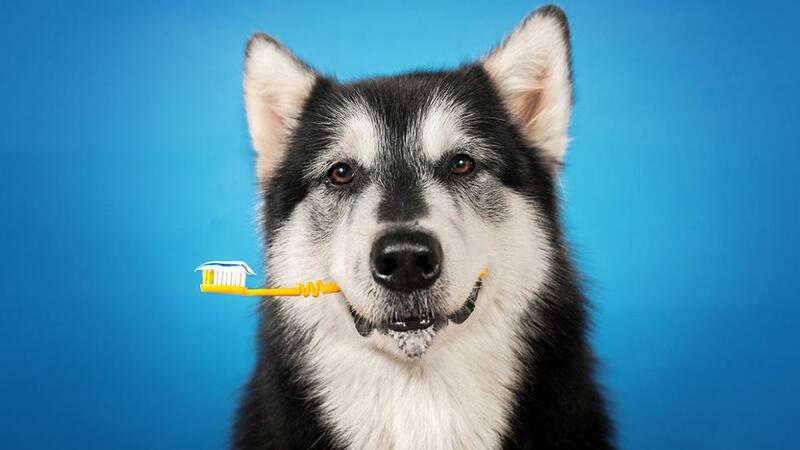 In addition to changing your dog’s diet, the most effective way of taking care of your dog’s teeth is to brush them. If you’re feeling brave, you can try doing it at home using a baby-soft toothbrush and toothpaste specially designed for dogs.